The Australian government is in the midst of an exciting process of digital transformation. There is increasing adoption of agile methodology for new projects. The Digital Marketplace was launched during the second half of 2016 making it easier for innovative SMEs to access government contracts. Significant progress was made on the open data agenda. The Government’s AU$500 million investment in the Public Service Modernisation Fund supports initiatives across the public sector that enhance productivity, boost innovation and enhance program and service delivery. A key initiative of the Modernisation Fund is the injection of AU$131 million for the establishment of the Data Integration Partnership for Australia (DIPA). DIPA is a coordinated, government wide approach to maximise the use and value of the Government’s vast data assets and enable faster, cheaper and more secure integration of data to support better policy decisions. 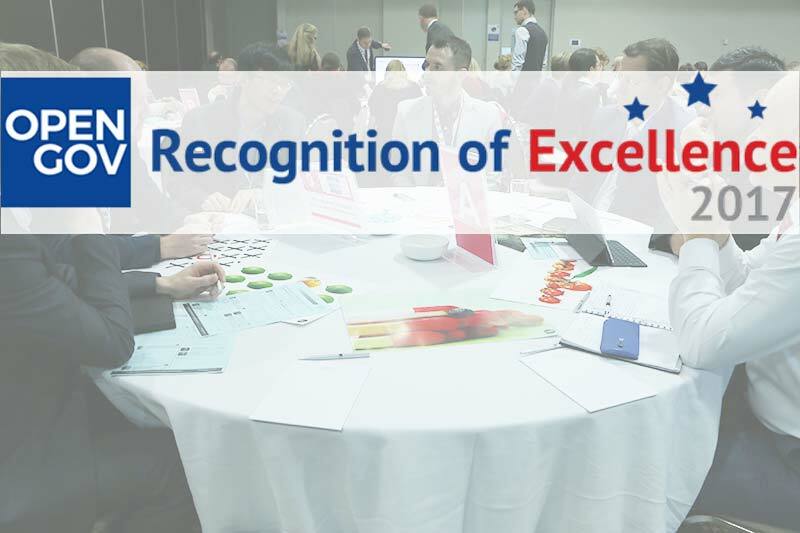 Along this journey, OpenGov wanted to celebrate the numerous success stories of Australia’s best performing government agencies for achieving excellence in ICT strategies, policies and initiatives. This was part of our Recognition of Excellence series. In 2017, ceremonies were held in Singapore, Sydney, Melbourne, Kuala Lumpur, Jakarta and Manila. OpenGov recognised the Australian Taxation Office (ATO) for a series of ICT innovation initiatives, MyTax, the Superannuation Dashboard, and Alex, the ATO’s virtual assistant. MyTax provides a quick, easy, safe and secure way for online lodgement of taxes. It can be accessed from any device – computer, smartphone or tablet. It guides the users through the process and pre-fills information wherever possible. There are integrated calculators and links to use for information. Built-in checks are able to catch mistakes. During 2016, new features were added, such as the ability to upload myDeductions data into tax return (including for sole traders), new online tools to record depreciation and capital gains and the ability to lodge or amend prior year returns. The dashboard tells users at a glance whether the SuperStream Enabling Services on the SBR1 and SBR2 platforms are functioning normally or if they are experiencing a problem such as outages or degradation of services. It is a near-real-time indicator and sources data directly from ATO monitoring systems. The Superannuation Dashboard is another way the ATO is improving the client experience for funds and their software service providers, by providing contemporary and streamlined digital services and products that are easy to access, understand and use. Alex provides tailored responses to customer queries using natural language understanding, conversational dialogue and advanced resolution techniques, to answer hundreds of commonly asked questions across a range of categories. This allows agents to spend more time managing complex requests. OpenGov recognised CSIRO for the Urban Living Lab at the Sydney Science Park in western Sydney. Within the Urban Living Lab’s test environment, researchers will examine the connections between issues such as urban greening, energy efficiency, demands for water, community well-being and health and the impacts of technological advancements, all within a real urban environment. OpenGov recognised the Department of Finance, Australian Government for the ongoing successful rollout of govCMS. As of July 24, 2017, 57 agencies were using govCMS for over 153 websites. Another 22 were in development. govCMS gives agencies the tools to build, migrate and manage websites. govCMS includes the Drupal-based content management system and accompanying website hosting service. govCMS is available to all levels of government and solves many of the problems that agencies face managing their web presence, including limited resources to ensure website security, limited staff with the necessary skills to manage websites, compliance with Australian Government standards around design, accessibility, privacy, security and information/records management. govCMS is secure and regularly tested, updated and maintained to reduce risks to the agency websites. Being built on Drupal Open Source Software, it allows agencies to reuse and adapt solutions from around the world. It promotes cloud computing and helps reduce government spending. A fully-managed version of govCMS is available, known as govCMS SaaS. A hosting-only service PaaS is also available if more flexibility is required. OpenGov recognised the Department of the Prime Minister and Cabinet, Australian Government for the Smart Cities and Suburbs Program. Round one of the Smart Cities and Suburbs Program was launched on 17 March 2017, following public consultation on the draft guidelines between 13 December 2016 and 20 January 2017. The AU$50 million program supports local governments, private companies, research organisations and not-for- profit bodies to work collaboratively and deliver innovative smart city projects. The goal is to improve the liveability, productivity and sustainability of cities and towns across Australia. Ongoing projects range from an advanced 5D data modelling in Ipswich, bringing together streams of data from across the council and integrating Council data with state and federal government data as well as telecommunications and utility data to building a high-tech, automated waste collection system in the Sunshine Coast and a smart city lighting project in Adelaide. OpenGov recognised the Digital Transformation Agency for the launch of the Digital Marketplace. The Marketplace was launched in 2016 to make it easier for smaller businesses to compete for the national and local governments’ spend on information and communications technology (ICT) products and services. It aims to provide an ecosystem where government buyers and sellers can connect and have transparent procurement interactions — at the level of simplicity or complexity appropriate to their circumstances. In February, the Marketplace was expanded, adding new areas including cybersecurity, data science, content and publishing, marketing, communications and engagement, as well as support and operations. It is an agile development in Beta, which means that the site will evolve over time in response to user needs. Currently, there are 454 approved sellers and 565 registered buyers. Around 25% of registered buyers on the Marketplace are from local government. Small-to- medium enterprises are benefiting, having picked up 82 percent of the $15.3 million worth of contracts, to date. The Marketplace is also collaborating with the Smart Cities and Suburbs Program to help councils develop their approach and find private sector partners that can help them to build their smart city. OpenGov is recognising Geoscience Australia for leading a test project of a Satellite-Based Augmentation System (SBAS) for the Australasia region. An SBAS will overcome the current gaps in mobile and radio communications and, when combined with on-ground operational infrastructure and services, will ensure that accurate positioning information can be received anytime and anywhere within Australia and New Zealand. Positioning data is now fundamental to a range of applications and businesses worldwide. It helps increase productivity, secure safety and propel innovation; enables GPS on smartphones, provides safety-of- life navigation on aircraft, increases water efficiency on farms, helps to locate vessels in distress at sea, and supports intelligent navigation tools and advanced transport management systems that connect cities and regions. OpenGov is recognising IP Australia for Portfolio View for patents and trademarks, an initiative designed to assist self-filers and small to medium-sized enterprises by displaying all intellectual property (IP) rights associated with the user in one simple and easy-to- use location. The new capability strengthens IP Australia’s digital offering for customers and can be accessed from customers’ eServices account in one click. Portfolio View enables customers to view their trademarks and patents in one convenient location and has been the most commonly requested feature by IP rights stakeholders for a considerable time. OpenGov is recognising the National Archives of Australia for the Information Management Standard to help manage the government’s growing business information. In keeping with the current direction of reducing red tape, the new Information Management Standard outlines principles to help agencies meet business, government and community needs in relation to how information is managed across the sector. The Information Management Standard sets a firm foundation for agencies so they can plan for, conduct and monitor their information management practices. The standard also provides a basis for agencies and the Archives to review their performance. The standard is consistent with the International Standard ISO 15489 (2016) onRecords Management and offers a practical approach to maximising the business benefits of well-managed information in the Australian Government. It applies to both digital and analogue information and aligns with the National Archives Digital Continuity 2020 Policy.